An overarching and obvious aspect of this piece is stated quite nicely by Messiaen’s initial tempo marking in the score: “Infiniment lent, extatique” (Infinitely slow, ecstatic). He deals with concepts and preconceptions of time wonderfully in this piece in a variety of ways with his manipulation, contraction, and expansion of musical time. Dealing with time in this manner seems to be apropos to the Revelation text, the peculiar ‘there should be time no longer’ and an entrance into something that either doesn’t include time, or transcends it in some way. I want to focus here on the words “regal distance,” which is a fascinating way of speaking to what I personally get from the score. In my opinion, it is one of the best instances in music that successfully portrays the concept of קֹ֫דֶשׁ, (Hebrew: qodesh). In Greek, it is ἅγιος (hagios). In English, it is holy. I feel quite certain that most modern people do not understand the concept of (qodesh) holiness, or if they do, feel a little uncomfortable with the idea. Of the variety of possible translated meanings, (according to the NAS Exhaustive Concordance of the Bible with Hebrew-Aramaic and Greek Dictionaries) qodesh can mean apartness, consecrated, dedicated, hallowed, sacred, sacrificial, holy, and my personal favorite: sanctuary. Of the variety of possible translated meanings, hagios can mean set apart, sacred, holy, or my personal favorite: sanctuary. These ideas circle around what holiness actually is: an ‘otherness’ or ‘separateness’ or ‘sacredness.’ It is a placement or condition of being and is a very antithetical idea to our current society (or perhaps any society). It is most easily and temporally seen as a concept or condition of personal moral character, but there seems to be a larger, more cosmic (immeasurable, limitless, infinite) aspect to it as well. This concept is seen, or felt, here in this movement fairly explicitly. There is an aspect of holiness that is achieved by the eradication of Time, is there not? Part of the nature of God (Jesus), is that He is timeless or transcends time (“whose time never runs out”). He “Is,” or differently stated, He is eternally now. That is a holy concept. It is absolute, and absolutely pure. And particularly in Christianity, He ‘is’ sanctuary (holy). When one enters into the New Covenant established by Jesus Christ, it could be thought that one enters into eternity. The pairing of holiness and timelessness can also be seen in 1 Peter 1:13-25. It is disconcerting to associate the Quartet with Moulin Rouge-style production values. But Messiaen always took joy in skating between the mundane and the sublime. As stated by Ross above, Messiaen transcribed Louange à l’Éternité de Jésus from his 1937 work Oraison. Oraison is a commune in the Alpes-de-Haute-Provence in southeastern France, which at the time of Messiaen’s composition had a population of around 1750. Given the nature and goals of The Exposition Internationale des Arts et Techniques dans la Vie Moderne (The International Exhibition of Arts and Techniques in Modern Life) in May 1937, Messiaen’s selection of the ondes Martenot (invented by Maurice Martenot in 1928) would have been an excellent choice. When I hear this played on original instrumentation, I get an even deeper, almost visceral, connection to the concepts described above, “קֹ֫דֶשׁ,” “ἅγιος,” …holiness. It is the nature, strangeness, and mystical sonic profile of the ondes Martinot that does it I suspect. It is even more affective than the 1941 transcription, in my opinion. (The violoncelle sound is more earthbound than the otherworldly ondes Martinot). The build and gravitational tension building at 5′ and subsequent denoument and release into space at 5’30” to the end (or 6’30” – 7’30” in the Yo-Yo Ma recording) creates a powerful εἰκών of the “gentle, regal distance” of God (Jesus). It is the image of the cosmic King and the holy sanctuary, the Λόγος — the Word of God. On January 15, 1941, The Louange à l’Éternité de Jésus was first heard on deteriorating instruments by 400 prisoners and guards at Stalag VIII-A. It was raining. Messiaen was said to have recalled “Never was I listened to with such rapt attention and comprehension.” They perhaps saw what could be described as “hope” in imagining the apocalyptic angel declaring Time be no more. There will be justice and there is an infinite Being who will provide it. It was a perfect time in history to hear such a thing, as it remains now. Synesthesia originates from the Greek syn (together) and aisthesis (perceive), and refers to the phenomenon in which stimulation of one sense modality gives rise to a sensation in another sense modality. For instance, if a musical note or sound “looks” like a particular color one day, then it will always appear as that color to that person. The study of this phenomenon has contributed to the debate on sense organization in our brains. The common view (modularity thesis) holds that humans possess five distinct senses, independently functioning, whereas the unitary thesis contends that humans possess one integrated sense organ with five ‘sub-organs.’ In a similar way, it has also contributed to discussions on Wagner’s idea of Gesmtkunstwurk (Total Work of Art), which assumed a single Gestalt experience that both auditory and visual senses were attuned to. Interest in synesthesia was around since classical Greece, where some argued that color, like pitch, could be considered a quality of music. Pythagoras suggested that colors and sounds could be related, following mathmatical rules. Much later in the 16th century, experiments on the phenomenon picked up. Arcimboldo (well known for his vegetables and fruit portraits) translated a grey scale value system to color hues and persuaded a musician in the court of Rudolph II of Prague to install painted paper stips on his gravicembalo. Issac Newton attempted to establish a system of color harmony related to a system of sound harmony (or an integration of the two systems) by assuming that musical and color harmonies are related by means of frequencies of light and sound waves. As technology improved, so did the possibilities of experimentation. A harpsichord called a clavecin oculaire was developed in 1720. A gas-lamp organ called a Pyrophone, which consisted of 13 foil-covered gas jets that lit crystal tubes was created in 1870. The first “color organ” was invented in 1893. Scriabin’s system is perhaps more complex than at first thinking. He was, by the time of composing Prométhée practically outside the framework of Western Music’s major-minor tonal system. This system, at the core, is based on the “complexity” of tonalities and colors. Color “complexity” could be related to its place on the color spectrum (colors at the red end are ‘simpler’ than colors on the blue end). Bmajor: gloomy, dark blue with steel shine. Fmajor: green, clear (color of greenery). Beyond question, there have been composers with this amazing and interesting genetic anomaly, and I feel quite confident that I am not a full on synesthete, although I have had distinct moments of “feeling” certain colors. Christmas always feels Fmajor to me. G always feels like plants (trees, grass, etc.) Dflat is a warm, rich cloth. These are examples. That being said, I don’t use them prescriptively, although they are merely present in an organic way when I am composing. I wonder if there is any way that this beautiful phenomenon could be used for the benefit of everyone. Perhaps audition colorée is not the key, but “light-sound hearing” may be, which Scriabin actually thought was more important. This may allow musicians to attain “effulgence” or “luminosity” in the music without real light. Conductors already use light or dark metaphors and similes. What are we talking about here? We are talking Timbre! Timbre in German (klangfarbe) means: “color of sound!” So perhaps there is a more easily recognizable mixing here: light and sound. Another interesting possibility is mixing the sense of gravity and music. Are there lightness/ heaviness/weightlessness properties in music? Certainly. ….interesting prospects. Berman, Greta. “Synesthesia and the Arts.” Leonardo, Vol. 32, No. 1 (1999), pp. 15-22. Bernard, J. “Messiaen’s Synaesthesia, The Correspondence Between Colour and Sound Structure in his Music.” Music Perception, Vol. I, No. 4 (1986), pp. 41-68. Campen, Cretien van. “Artistic and Psychological Experiments with Synesthesia.” Leonardo, Vol. 32, No. 1 (1999), pp. 9-14. 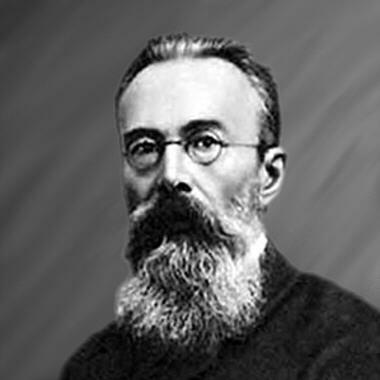 Galeyev, B.M. “Evolution of Gravitational Synesthesia in Music: To Color and Light!” Leonardo, Vol. 36, No. 2 (2003), pp. 129-134. Galeyev, B.M. “Farewell Prometheus Readings: Light-Music in the Former Soviet Union.” Leonardo, Vol. 27, No. 4 (1994), pp. 351-352. Galeyev, B.M., & Vanechkina, I.L. “Was Scriabin a Synesthete?” Leonardo, Vol. 34, No. 4 (2001), pp. 357-361. Harrison, J., & Baron-Cohen, S. “Synaesthesia: An Account of Coloured Hearing.” Leonardo, Vol. 27, No. 4 (1994), pp. 343-346. Messiaen, O. Musique et couleur. Paris: P. Belfond (1967), pp. 41-45. Poast, Michael. “Color Music: Visual Color Notation for Musical Expression.” Leonardo, Vol. 33, No. 3 (2000), pp. 215-221. Samuel, C. Entretiens avec Olivier messiaen. Paris P. Belfond (1967), pp. 32-56.